Kylie Padilla And Aljur Abrenica Are Engaged! It’s confirmed! 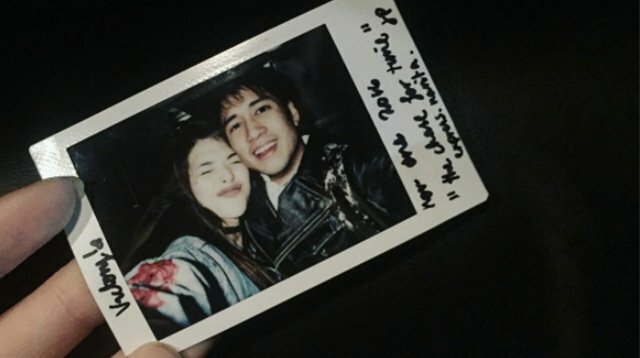 Kylie Padilla and Aljur Abrenica are engaged! The Vidanes Artist Management—Kylie’s management alongside GMA—first made the official announcement on their Facebook page saying, "Vidanes Celebrity Marketing would like to announce to the great public the engagement of Ms. Kylie Padilla and Mr. Aljur Abrenica." The same announcement was also posted on Instagram. Kylie also shared a photo of their engagement on Instagram, posting a photo of her and Aljur hugging, with the caption: "Know these past days have been rough but I can't wait for the day people get to know you like I know you. Can't wait to share how it happened. I'm just happy I am sharing it with you." The two first got together in 2011 and split in June 2014. They rekindled their romance in September 2016. On Monday, January 23, news broke that Kylie is allegedly three months pregnant with Aljur’s child. The two have yet to release an official statement about this.